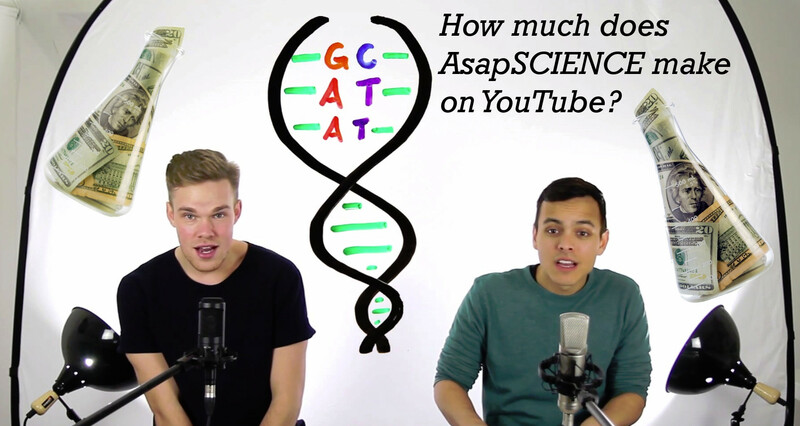 One of the best educational channels on YouTube is AsapSCIENCE. It was founded by Canadian YouTubers Mitchell Moffit and Gregory Brown who are passionate about science. They make videos on a lot of different scientific topics and answer some common questions such as "How much sleep do we need?" and "Which diets actually work?". There videos on science are very well done and engaging, which has resulting in many viral videos, and a total videos view count of almost 700 Million views! This amount of views, alone with their incredible 6 million subscribers, has amounted to between $1 and $2 million USD! This goes to show that science does pay, and pay big!